China’s top political advisory body, the Chinese People's Political Consultative Conference (CPPCC), concluded its annual session at the Great Hall of the People in Beijing on Monday. More than 2,000 political advisers spent 11 days reviewing work reports and delivering suggestions on a variety of issues. Three press conferences were held on the sidelines of the 12th National Committee of the CPPCC to communicate with the media and the public on a number of hot topics. During the 11 days, the vitality of China’s consultative democracy was on full display. 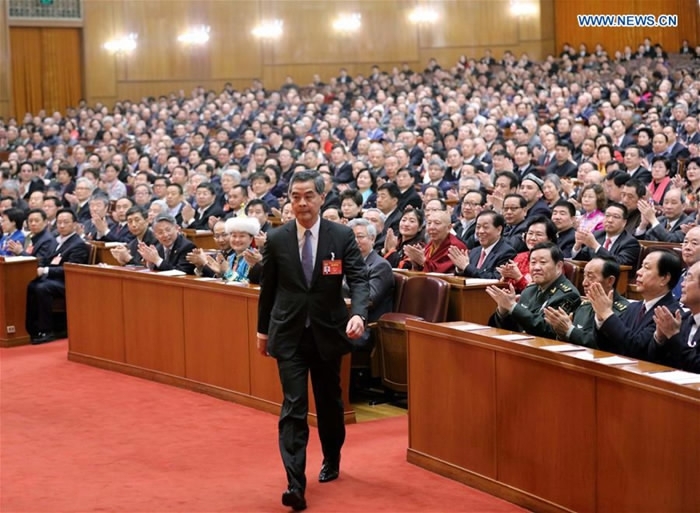 The fifth Session of the 12th CPPCC National Committee opened on March 3. Yu Zhengsheng, chairman of the CPPCC National Committee, called on the CPPCC to focus its advisory efforts on the implementation of the country’s 13th Five-Year Plan (2016-2020), stressing the significance of 2017 as the Communist Party of China (CPC) prepares for its 19th Congress later this year. Yu underscored the importance of strengthening and improving CPPCC’s democratic oversight, saying the CPPCC needs to conscientiously carry out the decisions and plans of the CPC Central Committee, be self-motivated to serve the overall interests of the Party and the country, and make steady progress in exercising effective democratic oversight so as to demonstrate the strengths and characteristics of the system of multiparty cooperation and political consultation that exists under the leadership of the CPC. He emphasized that the CPPCC is not a body of state power. Its oversight work does not rely on a mandatory or binding force, but on political influence. 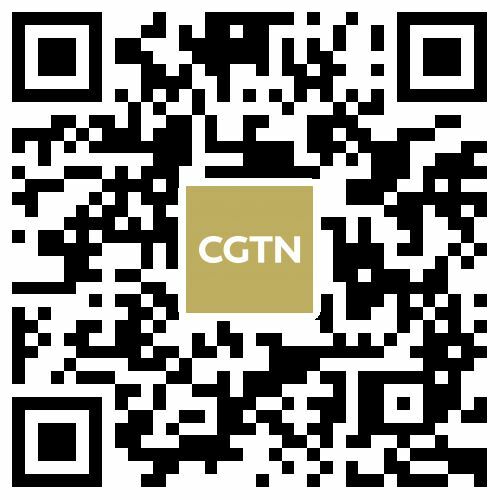 Chinese President Xi Jinping, also general secretary of the CPC Central Committee and chairman of the Central Military Commission, joined a panel discussion with political advisers from the China Association for Promoting Democracy, the Chinese Peasants and Workers Democratic Party and the Jiu San Society on March 4. After hearing the CPPCC members’ reports on topics such as soil pollution prevention, basic education and poverty relief, Xi said that China now needs its intellectuals more than ever to contribute to its prosperity, national rejuvenation and people's well-being as the country embarks on its great course. Intellectuals across the country should take on a sense of urgency and responsibility, and work hard to build China into a moderately prosperous society in all aspects and a major sci-tech power, he said. CPPCC members heard and deliberated on the government work report delivered by Premier Li Keqiang on March 5, with many paying close attention to China’s growth target for 2017. “I don’t want to make my prediction, but the sentence can really boost our confidence,” Liu replied. A press conference for the fifth Session of the 12th CPPCC National Committee was held on March 6 on promoting stable and healthy economic growth. 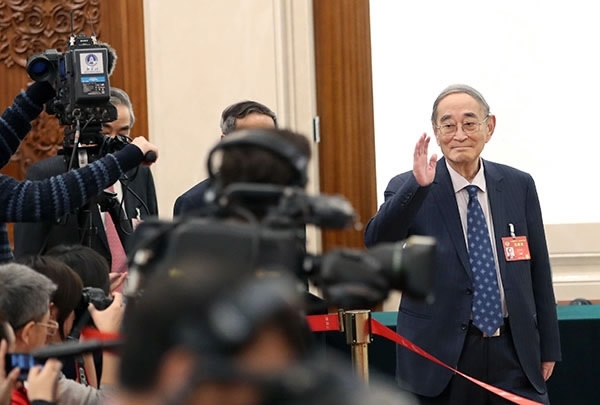 According to Li Yining, CPPCC member and honorary president of the Guanghua School of Management at Peking University, China is in a transitional period and should shift its development mode from focusing on speed and quantity to putting more emphasis on efficiency and quality. “That’s why we have been deepening the structural reform,” Li explained. He indicated that China’s economic growth rate may exceed 6.5 percent in 2017. 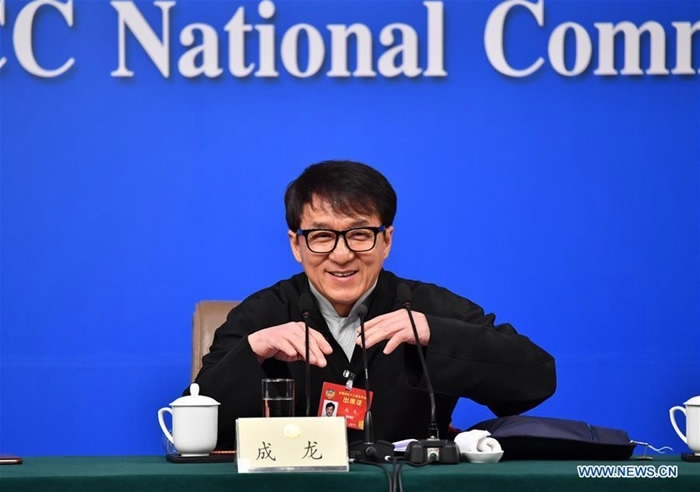 Along with four other CPPCC members, kung fu star Jackie Chan featured in the second press conference of the CPPCC National Committee’s annual session on March 7, answering questions on consolidating confidence in Chinese culture and telling stories of China to the world. Chan, who was awarded an honorary Oscar in November last year, said professionals in China’s movie industry can contribute a lot to the promotion of Chinese culture overseas. Zhang Qingli, Vice Chairman and Secretary-General of the CPPCC National Committee, visited female staff members at the secretariat of the Fifth Session of the 12th CPPCC National Committee on March 8 to mark International Women’s Day. On behalf of Chairman Yu Zhengsheng and Vice Chairman Du Qinglin, he sent regards to all female staff members working at the Two Sessions. China will respond to its aging crisis through healthcare reform including improving elderly care services, former Chinese Vice Minister of Health Huang Jiefu promised at the third press conference on the sidelines of the CPPCC session on March 9. “China’s aging population should not be considered a disaster, but one of the major indications of a modern society,” he said. 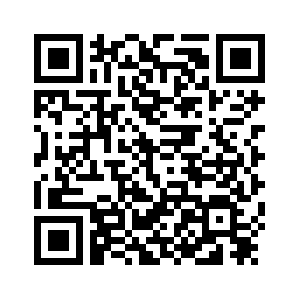 “We gained an additional 8.86 million people aged 60 or over last year alone. 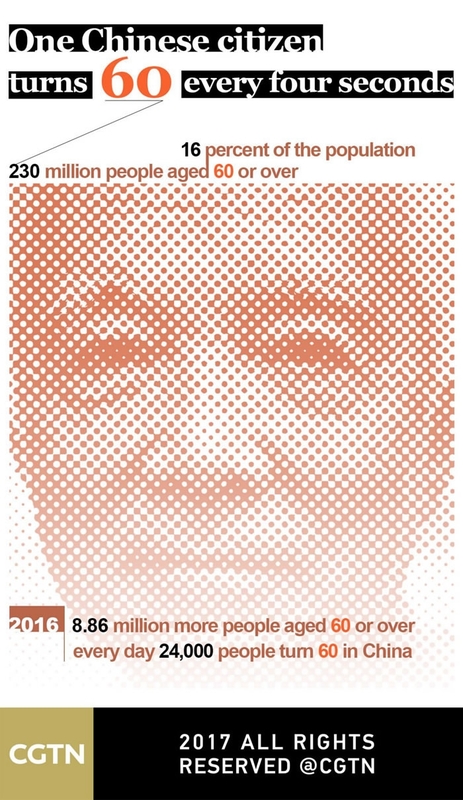 That means that every day 24,000 more people turned 60 in China, or one person every four seconds,” said Huang, stressing that the government has attached great importance to the issue. The second plenary meeting of the Fifth Session of the 12th CPPCC National Committee was also held on March 9. 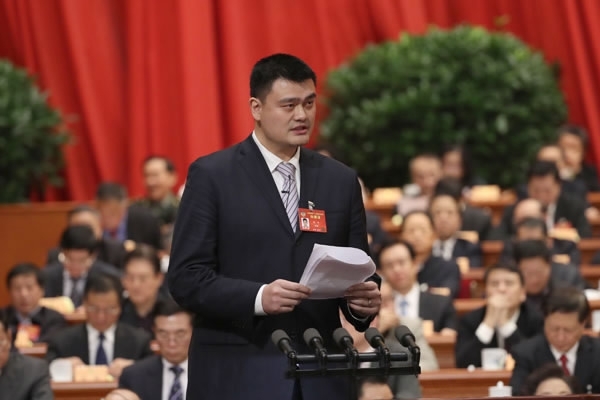 CPPCC member Yao Ming, chairman of the Chinese Basketball Association and a former NBA star, addressed the third plenary meeting of the Fifth Session of the 12th CPPCC National Committee on March 10. Yao said that building a strong nation of sports does not only mean more gold medals, but also requires simultaneous development of mass sports, the sports industry and sports culture. Zhu Zhuanxing, another CPPCC member and Vice Chairman of the CPPCC Municipal Community of Zhengzhou, Henan Province in central China, underscored the importance of a clean and upright family tradition in the fight against corruption. 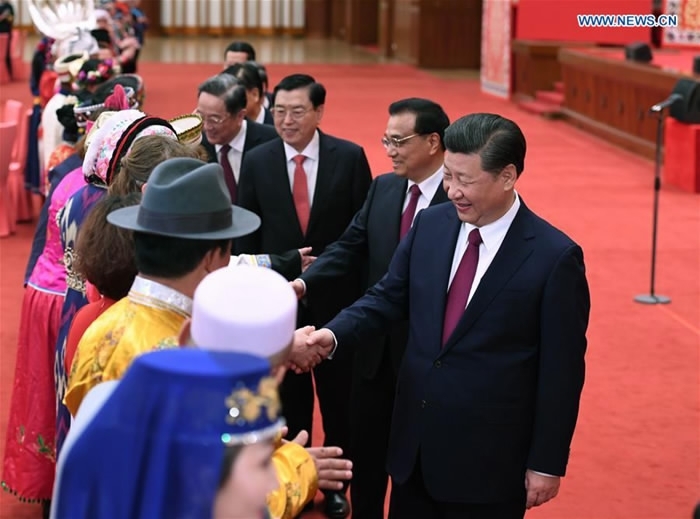 Chinese President Xi Jinping attended a gathering with ethnic minority lawmakers and political advisers at the Great Hall of the People on March 11 to celebrate the success of the Two Sessions. 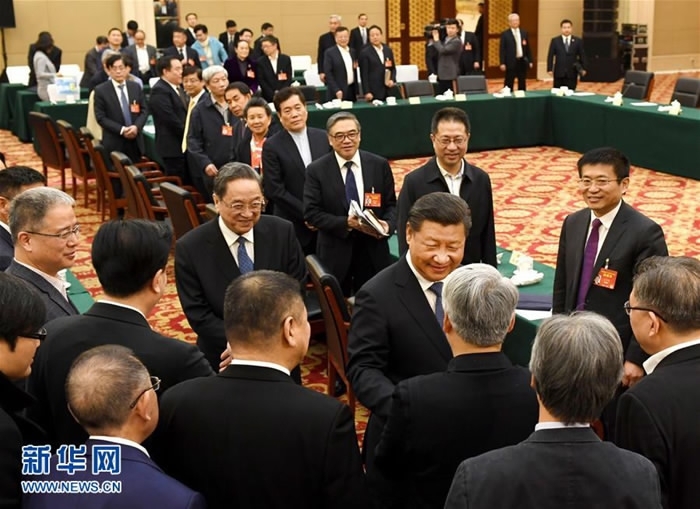 Other leaders, including Li Keqiang, Zhang Dejiang, Yu Zhengsheng, Liu Yunshan, Wang Qishan and Zhang Gaoli, all members of the Standing Committee of the Political Bureau of the CPC Central Committee, were also in attendance. On the same day, 14 political advisers delivered speeches at the fourth plenary meeting of the 12th CPPCC National Committee. Overseas Chinese could play a role in China’s Belt and Road Initiative, according to Zhao Yang, deputy director of the Committee for Liaison with Hong Kong, Macao, Taiwan and Overseas Chinese under the 12th CPPCC National Committee. 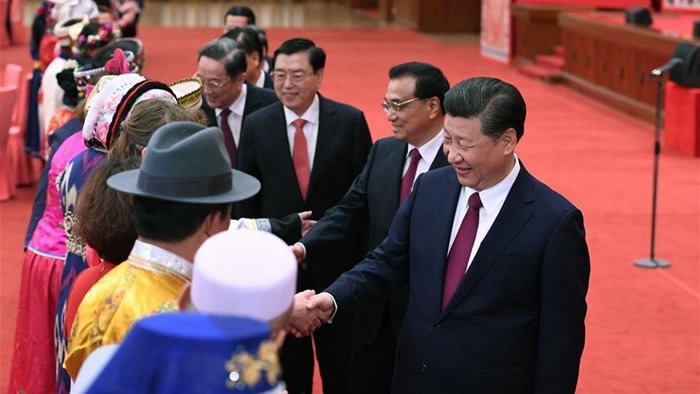 He expressed his belief that the familiarity of overseas Chinese with both China and the places where they live, along with their wealth and expertise in certain areas, could contribute to the implementation of the initiative. March 12 was a busy day for the China’s political advisers, who listened and deliberated on the work reports of the Supreme People’s Court and the Supreme People’s Procuratorate and approved several decisions and draft documents. 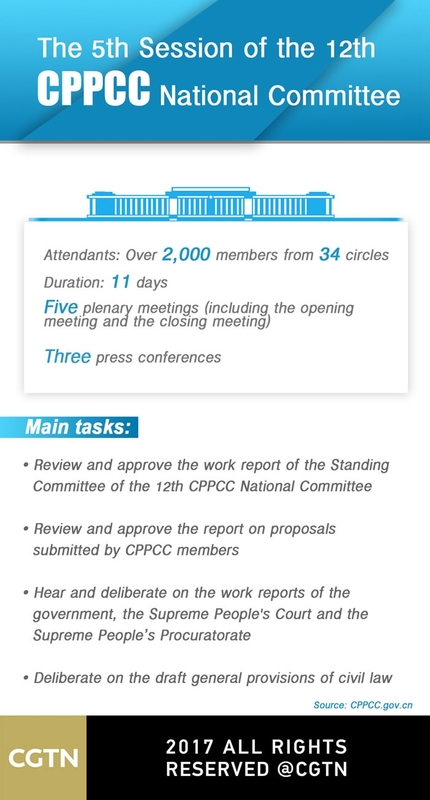 The following was approved at a plenary meeting of the Standing Committee of the 12th CPPCC National Committee: The method for electing new chairpersons for the Fifth Session of the 12th CPPCC National Committee, a list of candidates for vice chairpersons of the 12th CPPCC National Committee, a draft resolution on the work report of the Standing Committee of the 12th CPPCC National Committee over the past year, a draft report on the proposals submitted by CPPCC National Committee members to the annual session this year and the draft political resolution of the annual session. 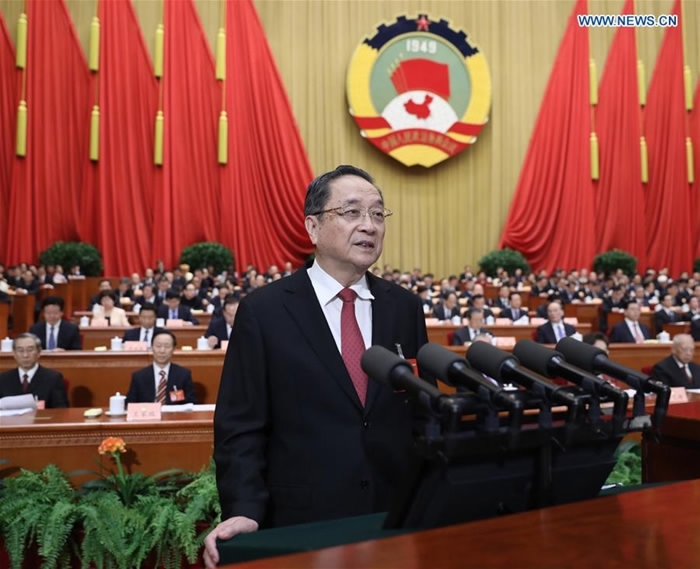 Top political adviser Yu Zhengsheng called for concerted efforts to achieve the country’s "two centenary goals," as he addressed the closing meeting of the Fifth Session of the 12th CPPCC National Committee on March 13. China aims to complete the building of a moderately prosperous society in all respects by 2020, and by the middle of this century, it should be a modern socialist country that is prosperous, strong, democratic, culturally advanced and harmonious. With 2017 being the last year for the 12th CPPCC National Committee, Yu urged more than 2,000 fellow advisers to cherish the honor of being members of the CPPCC National Committee, calling on them to maintain perseverance and contribute to the consultative work, with more outstanding achievements. Leung Chun-ying, Chief Executive of the Hong Kong Special Administrative Region, was elected Vice Chairman of the 12th CPPCC National Committee at the closing meeting, which also approved the final documents whose drafts had been approved on the previous day.